Using data from Mintel, Gallup and the ESHA nutrition database, HealthGrove, examined the rise of the gluten-free industry. Only an estimated one percent of the population has Celiac disease -- an autoimmune disorder where ingestion of gluten can lead to small intestine damage -- yet 21 percent of Americans actively try to include gluten-free foods in their diets anyway. Considering the pricey mark-up of these foods, and the lack of additional health benefits, this shouldn't make any sense. And the experts at HealthGrove found out why. Using data from Mintel market research, Gallup and the ESHA nutrition database, HealthGrove, the health data visualization and analysis site from Graphiq, examined the rise of the gluten-free market, people's reasoning for eating gluten-free and the demographic trends of this diet in America. In short, the data suggests a picture of a modern-day capitalist romance -- the marriage of general consumer naivete with the food industry's desire to make money from it. According to Dr. Daniel A. Leffler, an assistant professor of medicine at Harvard, "people who are sensitive to gluten may feel better, but a larger portion will derive no significant benefit from the practice. They'll simply waste their money, because these products are expensive." People think gluten-free means healthier (it doesn't always), and food marketers think those people will pay more for foods with a gluten-free label (they often do). This, in turn, has contributed to the massive growth of the gluten-free market. Using sales data, Mintel examined the rise of this billion dollar industry. Included in their analysis is anything with a gluten-free label, regardless of whether it's already naturally gluten-free or not. If you know what gluten is, you should immediately recognize the illogical growth of some of those categories. 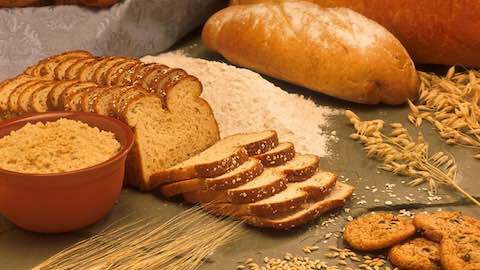 Gluten, a protein found in wheat, barley and rye (think bread and oatmeal, here) is obviously not present in meat and dairy. Yet dairy and dairy alternative products saw a 58 percent growth in sales of items labeled gluten-free, and meat and meat alternatives saw a 32 percent increase. For non-Celiac consumers, though, this diet can cost more than just money -- it can also be taxing on your health. For those with the disease, ingesting gluten causes an inflammatory reaction that can severely damage the lining of the small intestine. But for those without the disease? Gluten does ... well, nothing. However, the grains in which it is present are generally considered very healthy and provide many nutrients and fiber to promote digestion. According to dietician Katherine Tallmadge in an article for Scientific American, a gluten-free diet for most people will mean "eating a lot of foods that are stripped of nutrients." So next time you're looking for a healthy alternative, consider reaching for the gluten, rather than avoiding it. In a Mintel Survey, 65 percent of respondents cited "because it's healthier" as their motivation for going gluten-free, 27 percent do it for "weight loss" and it's possible that most of these people don't even know what gluten is. That's not to say that some non-Celiac people who go gluten-free don't actually feel better. But, as dietician Tallmadge points out, this is probably because they cut out desserts and junk foods in cutting out gluten, which would make most people feel better, and then "mistakenly attribute that to their gluten-free decision." When all of this is taken into consideration, it makes sense that gluten-free labels are getting put on everything from bread to condiments -- if people don't know what it is but associate it with "healthy" and pay a pretty penny for it, why not? Until people learn that gluten-free doesn't mean "healthier" and that, subsequently, the increased price isn't worth it, food companies will ride this diet fad as far as the profit margins will take them. Health & Wellness "What You Should Know About America's Gluten-Free Fad"